A guide to the classic and quintessential spots in the Berkshires. The Berkshires are made up of a chain of towns along the western border of Massachusetts. In the 19th century, it was the summer getaway for polite society with most of their mansions surrounding the Lenox area. Many of the mansions are gone, either burnt to the ground or have become hotels, but the genteel feeling of the area remains and it’s still a cultural center for music, dance and theater. It’s also turning into a culinary destination. The distance from the farm to the table is short. Here it’s not a trend, it’s just the way they cook. This guide will help you find the more classic and quintessential places in the Berkshires for eating, drinking and food shopping. Check out our other FED | Guide for the newer spots. To get the full Berkshires guide to local restaurants, bars and shops, download the free Find. Eat. Drink. iPhone guide with recommendations from local chefs and bartenders. 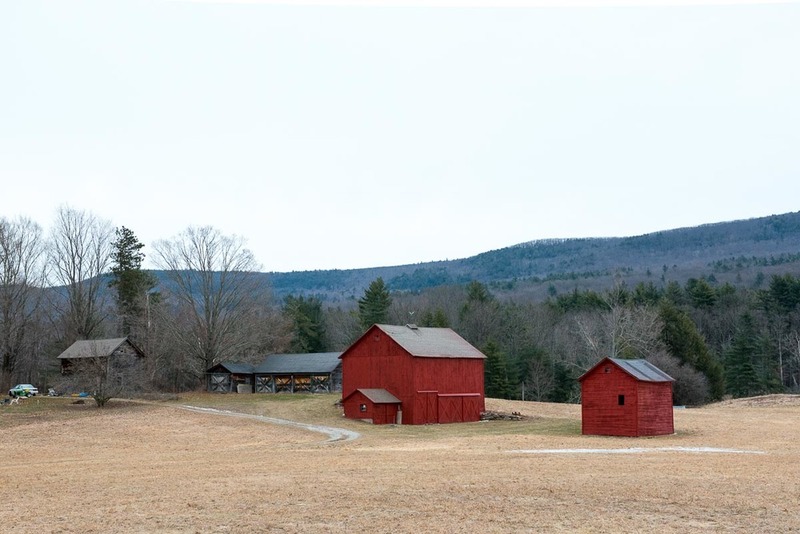 Red Barns in the Berkshires | Photo Credit: Find. Eat. Drink. Breakfast in the mornings and lunch after 11:30am. From eggs to sandwiches to salads and burgers to freshly-baked sweets. The Gallery at Shaker Dam Coffee | Photo Credit: Find. Eat. Drink. A small coffee house and gallery with photos taken by owner and photographer John Stanmeyer, who traveled the world as a photojournalist documenting war-torn areas for National Geographic. Located in a 1800s Shaker-style house in West Stockbridge, he’s more likely to chat with you about coffee brewing methods than f-stops. Get an iced coffee made with the in-house Japanese Oji water dripper that takes 8 hours to brew a cup. Lenox Coffee | Photo Credit: Find. Eat. Drink. Get your caffeine fix at this cafe owned by Berkshires native Gregg Charbonneau, who is the founder of Barrington Coffee Roasting Company in Lee. Charles Baldwin & Sons | Photo Credit: Find. Eat. Drink. Baldwin Extract | Photo Credit: Find. Eat. Drink. The Baldwins have been making small batch vanilla extract for over a century. Made in their basement of a former carriage shop, they use imported Bourbon Vanilla Beans from Madagascar and 100-year-old barrels for aging. They sell their extract, as well as ice cream toppings, sugar blends and their signature Worcestershire sauce all made using their vanilla. Olive oil at Bizalion’s | Photo Credit: Find. Eat. Drink. Jean-Francois Bizalion brings Marseilles to Great Barrington with his European cafe, bakery and specialty foods store. He imports micro-estate olive oils, European cheeses and charcuterie. They serve croissants, pain au chocolate, tartines, baguette sandwiches, coffee and wine. Lenox Farmers Market | Photo Credit: Find. Eat. Drink. Located on the grounds of Shakespeare & Company, they sell local produce, poultry, cheeses, eggs, pies, cakes, hard ciders, sandwiches, pizzas and flowers. This is a small grass-based dairy on the slopes of the Taconic Hills with their own honor-system farm store. You can buy locally-made artisan foods. Just leave your money in the lockbox. The first guests came by stage coach when the restaurant opened in 1773. Long on history, this grand New England inn still honors its tradition. Lantern Bar & Grill | Photo Credit: Find. Eat. Drink. Baker Richard Bourdon uses traditional European techniques to make his breads. He also carries spelt and wheat pizza crusts, five varieties of frozen pizza and a line of cookies. Sun setting over the Taconic Mountains | Photo Credit: Find. Eat. Drink. Scallops at Mezze Bistro + Bar | Photo Credit: Find. Eat. Drink. Chef Nicholas Moulton creates a menu focusing on the Berkshires region and nose-to-tale philosophy. Owner and beverage director Nancy Thomas has co-authored a few cocktail books, so make sure to check out the bar list. Chef Dan Smith has won the respect of local chefs for his seasonal, fine dining restaurant in an old farm house. Wine by the glass, beer on tap, small plate tapas-style, pizzas, cheeses and charcuterie. You’ll see chefs and summer stock performers coming in for late night bites. The Baldwins have been making small batch vanilla extract for over a century in West Stockbrige. They use imported Bourbon Vanilla Bean from Madagascar and 100-year-old barrels for aging. Stop into their former carriage house to pick up a bottle to bring home. One of the oldest, grass-based dairy farms in the region. Canyon Ranch chef Scott Uehlein is a fan. "Cricket Creek Farms embodies all that we love: cows are treated humanely (they are grass fed, roam on pastures, are not treated with hormones or antibiotics) and the cheese is made in an Old World style, which produces a far superior flavor and texture." The Berle family have been a fixture in the Berkshires for generations. Today, Lila provides many local restaurants with her grass-fed lamb and her daughter Beatrice makes yogurt, cheese and popcorn. HOTEL | Hotel on North -- book a room. HOTELS | Tablet Hotels -- book a room. HOMES | Airbnb -- book a house. TRAINS | MTA Metro-North to Wassaic. TRAINS | Amtrak to Hudson. ARTS & CULTURE | Tourism & Planning Website. Executive chef at The Red Lion Inn in Stockbridge, MA. Chef / owner at John Andrews in South Egremont, MA. Chef at Allium Restaurant + Bar in Great Barrington, MA. Chef / co-owner of Chez Nous Bistro in Lee, MA. 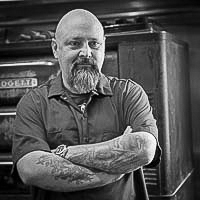 Chef / owner of the Monterey General Store in Monterey, MA. Chef / owner of Nudel in Lenox, MA. Chef / butcher / owner at The Meat Market in Great Barrington, MA. Watch the F.E.D. video + slide show of the Outstanding in the Field traveling culinary circus land in the Berkshires with chef Brian Alberg. Chef / Butcher Jeremy Stanton drops by the Monterey General Store for coffee and bad news. The local pros guide to outdoor dining, picnicking, and exploring the Berkshires in the summertime. The urban side of the bucolic Berkshires. Whether it’s for a cold custard treat, a juicy burger, or a lobster roll, pull over to the side of the road for these six authentic American food stands that chefs love. An Old World style dinner in the country where the farm, the kitchen, and the table are all within feet of each other.